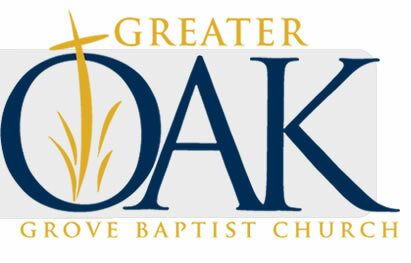 Pastor D. Earl Lewis became the Senior Pastor of the Oak Grove Church family in November 2003. He earned a Bachelor's of Science in Christian Leadership at the College Of Biblical Studies. His academic passion led him to earn both a Master of Theology (M.Th) and Religious Education (M.R.E). The former Dean of Students and Director of Student Affairs for the College of Biblical Studies, where he currently serves as an Adjunct Professor, and is currently pursuing a doctorate in Christian Education and organizational leadership. Pastor Lewis is a personable gifted preacher/teacher, with a passion for biblical leadership. He is recognized by peers as an excellent expositional orator of the Word. His gifts have allowed him to preach throughout the U.S, Europe and the Caribbean Islands. His voice can be heard weekly on 105.7 FM with Powerwalk Ministries. His experience as a midlevel manager in Corporate America, before accepting the call to ministry, has enabled him to initiate an organizational structure that carries out the business of the "Grove" that supports ministry growth and meets State and Federal requirements for a non-profit religious organization. His proudest attributes are his lovely wife Susan, their 3 children; Kirstie, Jordan and Caleb and shepherding the flock of the Oak Grove family!